To be clear, Second Earth is in the very early stages to the point that they're calling it a prototype. Even so, I've played with it for a little while and the Linux version seems to run pretty well. I really love the basic idea they're going with here, I also rather like the Starship Troopers references too. The way you have to build up your power reserves is really interesting, run out and you're likely to be very quickly overrun. 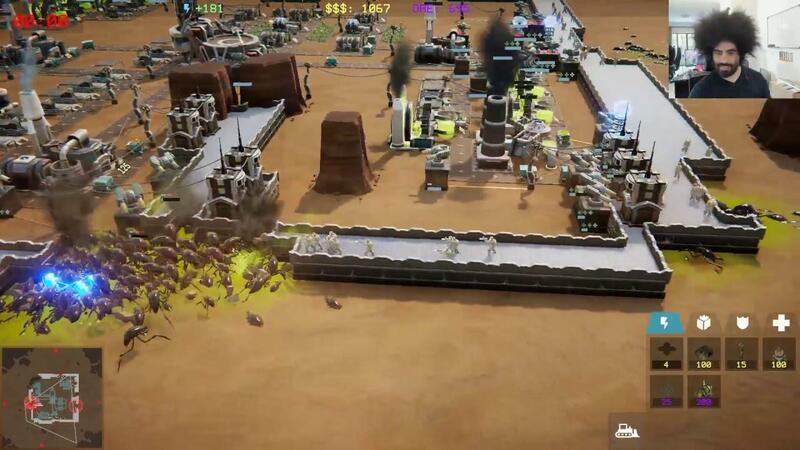 The more power you have in reserve, the faster your turrets will charge and you can also put down buildings to store that extra power, as sandstorms will come along and cover up your solar panels preventing you even generating any. Terraforming is a visually powerful theme that we really wanted to explore, and we'd like to add more possibilities to make it more meaningful. They certainly are going in a very interesting direction with the game, so I shall be following this along with great interest! One thing I noticed by accident, is pressing TAB brings up a little cheat menu. Pretty handy for playing around with the early builds, so I hope they keep that in for a while. theghost Nooo, I want more Broforce content. I can relate to that, I loved Broforce. I do like the look of this one though, certainly something I'm interested in. Base building. Good graphics. Linux build. I welcome this concept. Looks great! Excited to try this out. Broforce was a great title and well supported on Linux too! I've been a fan of well designed tower-defense/builder titles for quite a long time and am looking forward to this on Steam in the near future! Nice preview! Well we will not be getting They are Billions any time soon so i guess this would be enough ?